← When is it Time to Hire a Content Team? The biggest impediment to regular content creation isn’t a lack of ideas or even a dearth of writing talent. It’s not a lack of understanding about how content marketing works or why it is beneficial. For many small business owners, it boils down to one simple thing: A lack of time. You may not have a single spare moment in your day that you could devote to writing. What’s maddening about it is that you know there are people who do it. You know business owners who not only run successful companies, but also have robust writing habits. They pen their own company blogs with great regularity, and you just can’t understand how. We don’t claim to have a magic bullet or a slam dunk strategy, but we do have a few tweaks you can make to your day to generate a bit more time for a writing life of your own. Be ruthless with your time. What are the parts of your day that simply do not add value to your business or to your life? Where are the areas where you are least effective? You can probably figure it out by spending a week or so carrying a logbook and tracking how you spend each hour and each minute. You may be surprised by how much time is wasted answering e-mails or attending needless meetings. Cut the filler and use that time to focus on content creation. If you don’t want to outsource your content writing, then outsource something else. All businesses have simple, repeatable tasks that can be done by others—bookkeeping, payroll, what have you. Delegate, automate, and free yourself to write if that’s what you’re most passionate about. Schedule it. This will seem obvious to some and revolutionary to others: If you seriously want to write company blog posts, you need to put it on your schedule, rather than just hope for a few free minutes to open themselves up to you. Block out some time. Rather than scheduling 15 minutes of blogging time on Monday morning and then another half hour on Wednesday afternoon, schedule all your blogging time in one big chunk—say, two or three hours on Friday afternoon. See how much work you can get done in a big stretch of dedicated writing time. Seek inspiration. Your writing life may not get far if you sit down during your scheduled blogging time just to stare at a blank page. Try to keep track of inspiration throughout your week—simply jotting down ideas, bookmarking compelling articles you read, and keeping track of customer questions. This may take an extra minute or two out of your week, but it can make your blogging time much more productive! 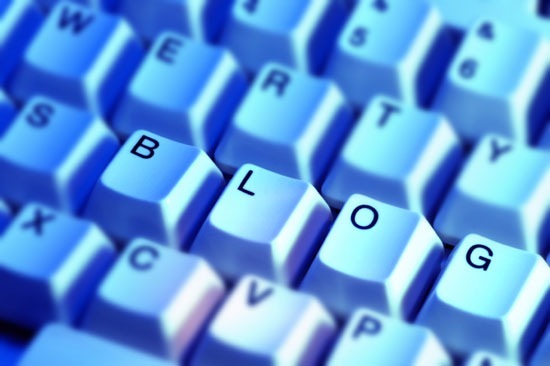 For more blogging strategies and insights, don’t hesitate to contact the Grammar Chic team: You can reach us at 803-831-7444 or www.grammarchic.net.